Ride an elephant in the coconut forest! 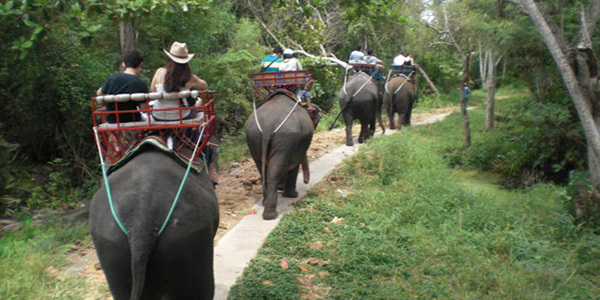 At Damnoen Saduak apart from the renowned floating market you can also engage in many memorable activities. 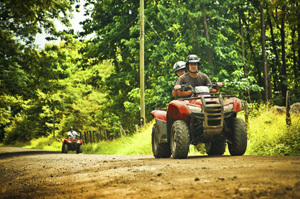 Elephant riding, elephant show, ATV adventure, BB gun – all fun activities in exotic setting. Or relax with body and foot massage. * For children height not exceeding 120 cm. Free of charge for children under 80 cm.